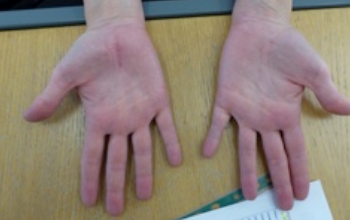 The following problems may be commonly experienced and in most cases it is possible to identify a cause which can be remedied by hand therapy, injections or hand surgery. Frequently, treatment can be given on the day of your consultation. Where surgery is required this is usually done with awake, day-case surgery. It is always the intention that patients should be able to return to their normal daily activities as soon as possible after treatment and in many cases the period of 'down-time' will only be a few days but some treatments may require several months of rest and graduated exercise before a return to full activity. 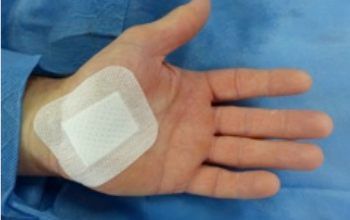 In almost all cases it is possible to use bio-absorbable stitches to avoid the, sometimes unpleasant, experience of having stitches removed. 2 months after right hand carpal tunnel release. 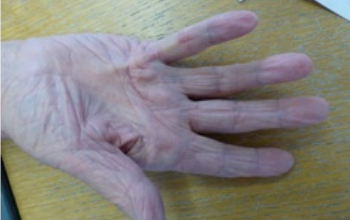 Dupuytrens contracture tightening the little finger. 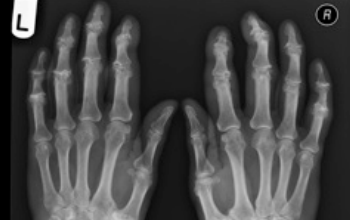 Arthritis at the base of the thumbs and also in the fingers.